And for most of this, until recently, that meant fire. Fire to protect, Fire to cook, Fire to see, Fire to sustain. And at times, it was Fire to communicate. Scientists and archaeologists have today released in the Proceedings of the National Academy of Sciences that humans, or rather hominids, our direct ancestors, were able to harness and control fire approximately 600,000 years before previously accepted dates. New evidence is pointing to a new date of 1 million years ago (1Ma). The article, here, goes on that it has generally been accepted that Homo erectus was cooking food at approximately 1.9Ma, however there has been little archaeological evidence to support the controlled use of fires to prepare food prior to consumption at this date. The earliest confirmed site has been known at Qesem Cave in Israel, and dated at 0.4Ma, 400,000 years ago. and Michael Chazang have offered up the latest method to better understand the inhabitants of the Early Acheulian (or Early Stone Age) period at Wonderwerk Cave in South Africa, and their manipulation of fire. There have been other claims of controlled fires in the early Acheulian period in the recent past such as at Koobi Fora, Gadeb, Chesowanja in East Africa, and Gesher Benot Ya’akov in Israel, but todays authors suggest that the previous studies lack context that can be gained through morphological studies. Using Fourier Transform Infra-red Micro-spectroscopy (mFTIR) and Micromorphological analysis the researchers have been able to observe and characterise sediments at the microscopic level, that until recently has not been possible. The result being that the presence and nature of burnt bone and plant ash in the cave site of Wonderwerk, translated as Miracle Cave, has enabled this staggering shift back in time. The control and manipulation of fire is considered a major evolutionary step for humans, before which it is thought we used fire generated through naturally occurring events, such as lightening, scrub fires, and natural combustion due to chemical reaction, such as with the self ignition of guamo ( bird or bat droppings). Wonderwerk Cave in South Africa, seen above, is a natural solution cavity which in 2008 was celebrated as the earliest site in the world to reveal evidence of human occupation in a cave, dated to 2 million years by Professor Michael Chazin, see here. Stone tools found at the base of the caves archaeological strata supported this and were attributed to the Acheulian period (or early Stone Age), approximately 1.7-0.8 Ma. The cave was extensively excavated by Peter Beaumont of McGregor Museum from 1978-1993, and rock art has been recorded at the entrance. 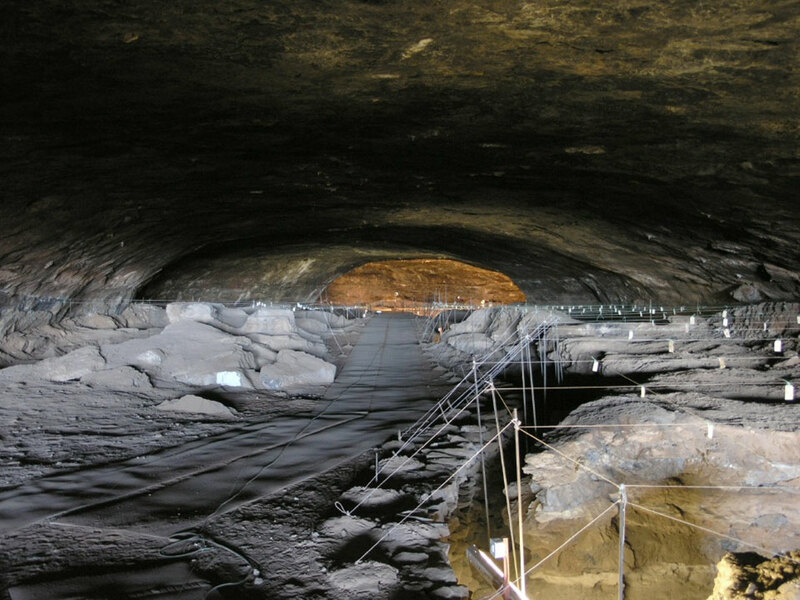 In essence the researchers appear to demonstrate undisturbed archaeological contexts and deposits across a widespread area within the cave that contain evidence of ongoing, or repeated cycles of burning or fire making…but with no evidence of a fire surround, hearth structure or pit in which to contain the fire. What’s to say that Stratum was not blown in by a mighty wind, washed in by a flood or heavy rain, or the product of an ancient ground disturbance which has affected the dates? 2. Crucially, the security of the layers seem to be intact, with Stratum 10 sandwiched between earlier and later Acheulian deposits that display no signs of heating, dispelling a possible counter argument for a later episode of combustion whose heat could have modified this Stratum. The article released today also highlights the importance of cross examining archaeological evidence, by more than one method of analysis, when attempting to establish dates that require microscopic and molecular level technologies. – Establishing the security of a site or deposit (that is to establish if the deposit has been contaminated or disturbed in some way through natural processes, chemical change and biological influence) is also considered by the authors as crucial, in setting the dates apart from other sites that have generated earlier dates than 0.4ma through other analytical methods. Whatever the lesson is to be learnt regarding good scientific practise, the results of this latest study has big, and potentially exciting implications for the future. 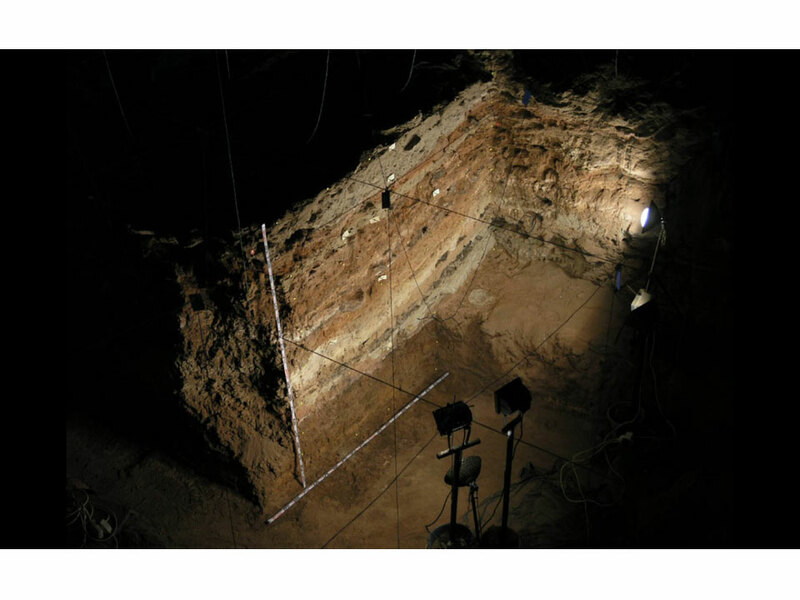 By knocking 600,000 years off the closest confirmed date for cave dwelling fire users, It both opens up the race to re-examine past sites using different techniques, and holds the door wide open for future dating analysis.